As a Real Estate Broker and the founder of The Real Estate Savings Center Network, I believe the Best Home Search is offered by Highly Rated Real Estate Brokers who offer you the unbeatable combination Professional Representation, Multiple Home Search Solutions, plus Home Buyer Rebates and MLS Listing Savings in your hometown or your destination city. All REALTORS® at The Real Estate Savings Center are Buyer Brokers or Buyer Agents with at least 5-years of local experience. They are dedicated to saving First Time Home Buyers, as well as Experienced Buyers time and money, plus each Realtor offers a great home buyer rebate or real estate rebate for you as their buyer client. The U.S Department of Justice says that some Realtors (like those in our Nationwide Network) can make buying a home less expensive. All Real Estate Savings Center Realtors are also MLS Home Listing, Marketing & Selling Specialists. They offer you some of today’s most professional and cost-effective ways to get your home sold within your time frame. Plus their MLS Listing Savings solutions help ensure you keep a lot more of your equity when selling. The U.S. Department of Justice says that some Realtors (like those in our Nationwide network) can make selling a home more affordable. BestHouseBuilders.com is now a member of The Real Estate Savings Center Network. Participating House Builders are qualified by ratings from local Realtors and their new home buying clients. 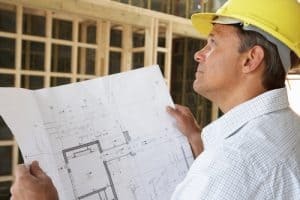 Most of these New House Builders offer some type of buyer incentives related to financing or free upgrades. Builders will typically not offer you part of MLS commission if you are not working with a Realtor. However, when you select one of our Network Realtors and register their name with the Builder, you can receive a great New Home Rebate at closing. BestMortgageLoans.com is also a member of The Real Estate Savings Center Network. Our system surveys Realtors and Review sites to help us qualify the highly regarded Mortgage Lenders in each area where we open an Online Savings Center. When we locate the top Online Lenders, Mortgage Brokers, and/or Bank Loan Officers, we invite them to “showcase” their websites to promote their professional services and mortgage loan programs. A Real Estate Rebate, aka; a Home Buyer Rebate or Buyer’s Agent Commission Split is now legal and available to Home Buyers in 40 of the United States. This means about 88% of the buyers are in states that do offer Rebates. The Non-Rebate States are Alaska, Alabama, Iowa, Kansas, Louisiana, Mississippi, Missouri, Oklahoma, Oregon, and Tennessee which have a combined total of about only 12% of the U.S. population. Compare Real Estate Rebate Offers: The Real Estate Savings Center “showcases” the Professional Services and Home Buyer Rebate Offers of up to 4 highly rated Buyer Brokers and Buyer Agents for each County where we open an Online Savings Center. The TRUTH about Real Estate Rebate Offers. Home Buyer Rebates make Buying a Home Less Expensive. 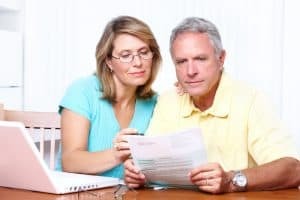 It’s your money, and here are our thoughts on how you can keep a lot more of it at closing. Choose from the best Home Buyer Rebates from the Realtors the best suite you specific needs: Our system saves you time with multiple Best Home Search solutions offered by highly-rated Realtors that are specialists. 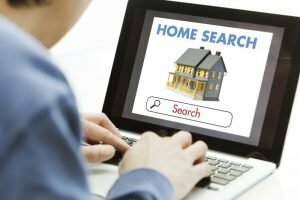 Best Home search categories include Family Homes, Condos & Townhouses, Luxury Living, and Lifestyle Home Search for home buyers those looking for recreational, resort, and/or retirement communities. MLS Listing Savings Services are also available from the highly-qualifed Realtors at The Real Estate Savings Center. In addition to being Certified and/or Accredited Buyer Representatives that offer home buyer rebates, all Network Realtors are Graduates of Realtor Institute (GRI), ePRO Real Estate Professionals, and/or Certified Residential Specialists (CRS). They know how to use today’s technologies to get you the results you are looking for as a home seller. MLS Listing Savings Solutions make Selling a Home Less Costly. It’s your equity and here are 2 of today’s real estate business models that ensure you will keep a lot more of your equity when selling. “Full Service For Less” – The Internet has truly modernized the real estate industry. While some “traditional” real estate Agents may still say you can’t have both Full Service and Substantial Savings, the innovative Realtors at The Real Estate Savings Center provide the professional services you need and the time and money savings you want. “Fee For Service” – So maybe you don’t need Full Service and you prefer to do some of the home work yourself. We’ve got you covered there too. Some of our Network Realtors may also offer you a flexible and cost-effective “Menu of Services & Fees” to choose from. 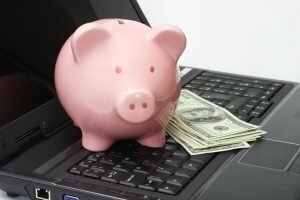 If you do not see one posted on your local Online Savings Center, you can request any available through the MLS Listing Savings link there.